In the girls first round, Priyanshi thrashed Hoi Ki Jenny Wong of Hongkong 6-0, 6-1. Ki Lung NG from Hongkong. Priyanshi Bhandari and Sai Karteek Reddy Ganta scored credible wins to enter the second round in the boys and the girls section at the second edition of the HCL Asian B1 Junior Tennis Championship at the Deccan Gymkhana tennis courts in Pune . In the girls first round, Priyanshi thrashed Hoi Ki Jenny Wong of Hongkong 6-0, 6-1. while Karteek came through a close match winning against Sebastian Nothhaft also of Hong Kong 6-4, 1-6, 6-4 . Fourth seed Siddhant Banthia defeated Christian Didier Chin of Malaysia 6-4, 6-2. 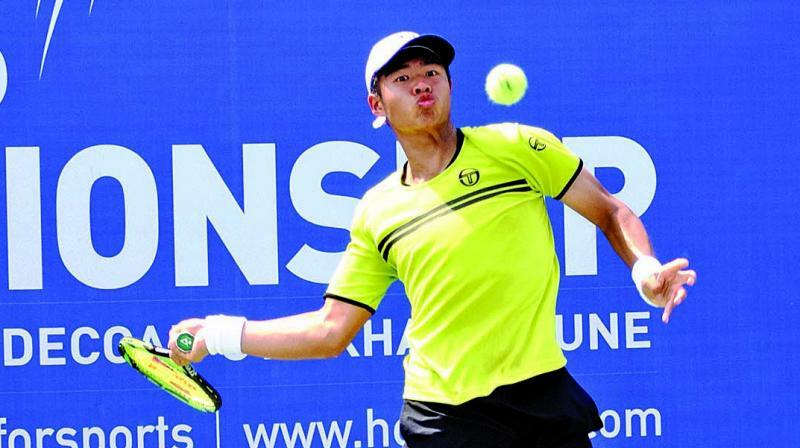 Ki Lung NG of Hong Kong also had it easy against Kabir Hansof India with 6-3, 6-2 win. Fifth seeded Megh Bhargav Patel also sailed into second round with 6-2, 6-3 win over Sushant Dabas. In the girls section top seeded Hong Yi Cody Wong of Hongkong rallied out wildcard Gargi Pawar 6-4, 6-1 while qualifier Sevil Yuldasheva proved too strong for Sudipta Kumar winning 6-2, 6-4.